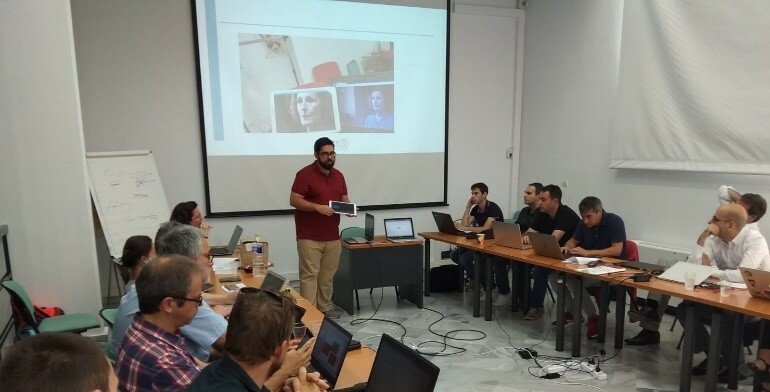 During the dates 9th-10th July 2018 took place in the headquarters of CERTH in Thessaloniki (Greece), the 2nd Consortium Meeting of H2020 European Project EasyTV, that is coordinated by Universidad Politécnica de Madrid. The 10th month of the project is running and the review will be soon, so this meeting had the presentation of some of the first developments, including an HbbTV application for second screens with functionalities for customizable subtitles, clean audio or image enhancement (UPM), an application for speech recognition to interact with voice through television and other devices (MediaVoice) and customizable interface for presenting video contents through 2nd screen devices (ARX.NET). Other presentations included the architecture of the EasyTV Platform by broadcaster CCMA, sign language recognition and generation of signs in 3D environments by CERTH, development of ontologies for sign language by the Ontology Engineering Group of UPM or test with users by UAB. 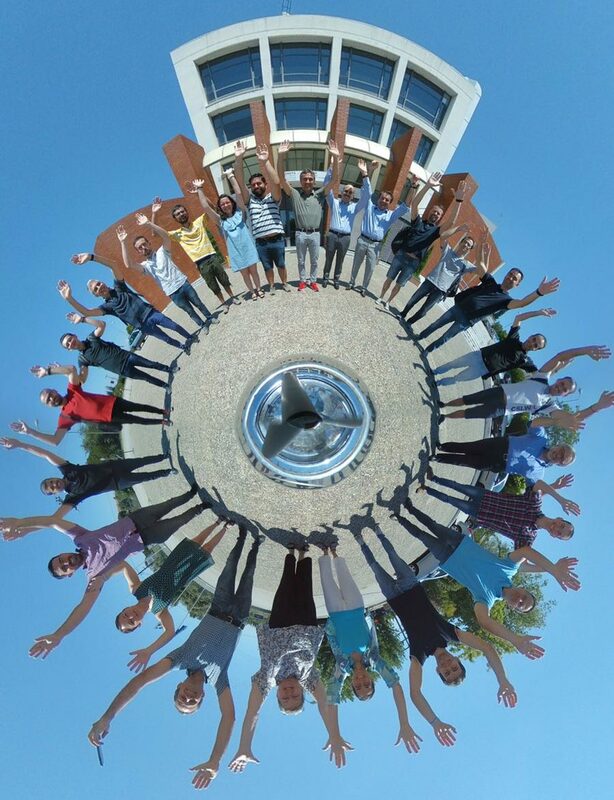 At the end of the meeting a fun 360º photograph was taken with all the partners. Check the result! !